Thank you for your interest in the products and services of DejoGames.com We understand that from time to time you may wish to cancel and request a refund on your payment. We have created this refunds policy to enable you to cancel and request a refund in appropriate circumstances. 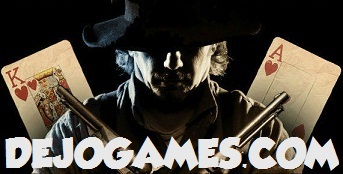 DejoGames.com provides digital goods and services. These goods and services include credits that may be purchased with “real world” currency. Since DejoGames.com is offering non-tangible irrevocable goods we do not issue refunds once the order is accomplished and the product is sent. As a customer you are responsible for understanding this upon purchasing any item at our site. – Non-delivery of the product: Due to some mailing issues of your e-mail provider or your own mail server you might not receive a delivery e-mail from us. In this case we recommend contacting us for assistance. – Credits transfer issues: It may happen so that you are having problems while receiving the product. Claims regarding such issues must be submitted to our Customers Support Specialists. All purchases are refundable if they have been recorded by our system as never delivered to the customer. In the event we receive your refund request, we will process the refund of your purchase within 24 hours upon receiving your refund request. You should receive back the funds into your account within 2 days to 2 weeks, depending on how fast your bank processes the transaction. Our Customer Support Specialists are always eager to assist you and deliver highly professional support in a timely manner. Please contact us should you require any assistance. Thank you for your interests in our products. "Quick and painless. I must admit I was a little skeptical at first but they proved me wrong. Will come back again soon if I lose. lol." "Went to quite a number of chips seller and this is the cheapest I found. Fast service too. Well done." "Very pleased with the service. Will be back for sure. Thank you again."